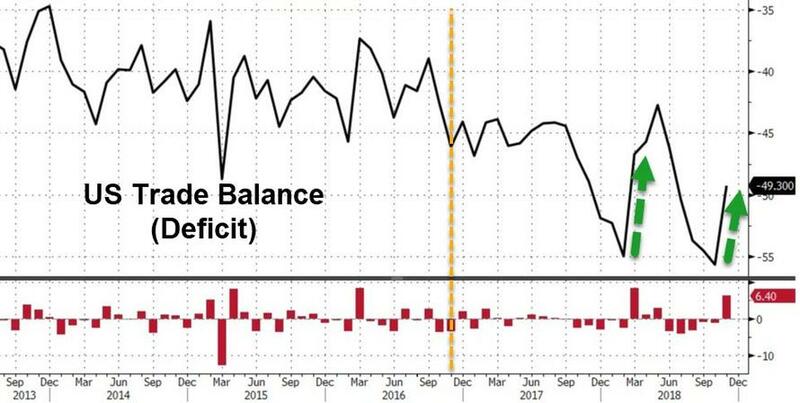 After hitting a record in October, the delayed data for the US Trade Balance (Deficit) in November showed the deficit shrank dramatically. 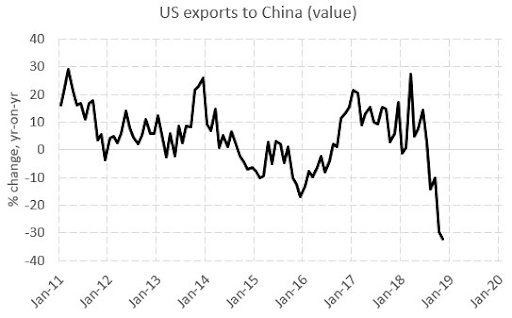 Imports fell 2.9% in Nov. to $259.19b from $266.88b in Oct.
Exports fell 0.6% in Nov. to $209.87b from $211.18b in Oct.
November imports of automotive vehicles, parts, and engines ($32.1 billion) were the highest on record. November exports of capital goods ($48.4 billion) were the highest on record. 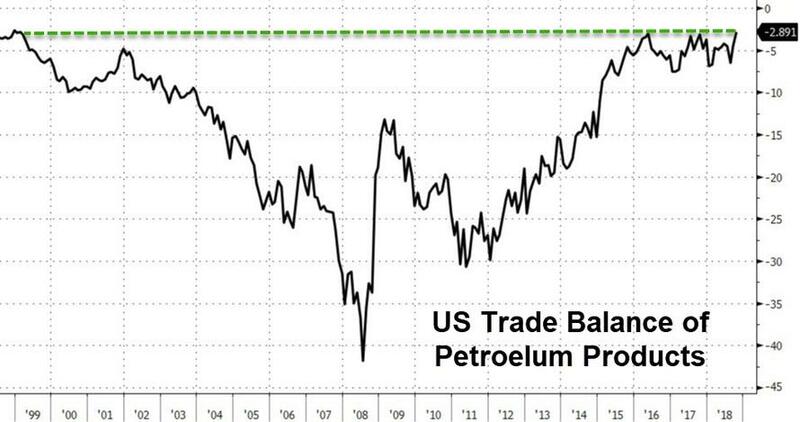 And we suspect - though data is limited for now, that a lot of the deficit shrinkage was due to a drop in the November petroleum deficit to $0.6 billion - the lowest on record. 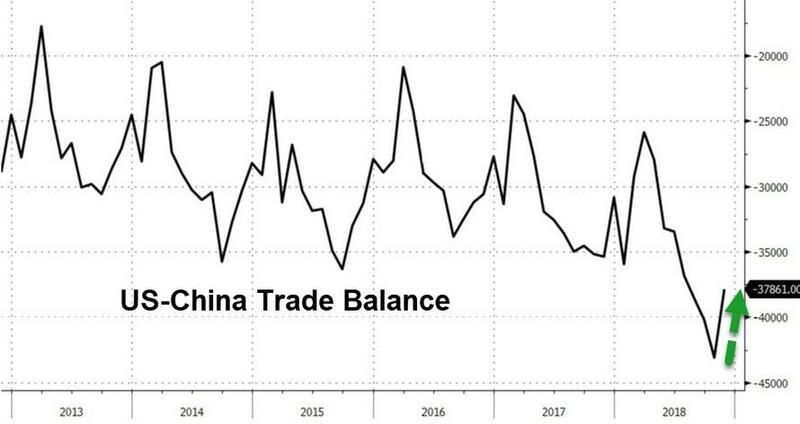 And at the same time, the November surplus with South and Central America ($5.4 billion) was the highest on record, and November exports to Japan ($6.9 billion) were the highest on record.